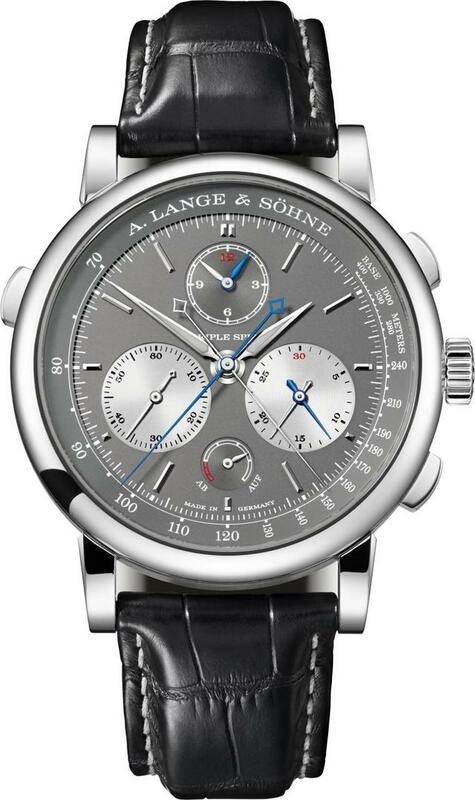 The highlight of A. Lange & Söhne’s 2018 collection, the Triple Split, is the first mechanical split-seconds chronograph anywhere to allow multi-hour comparative time measurements. 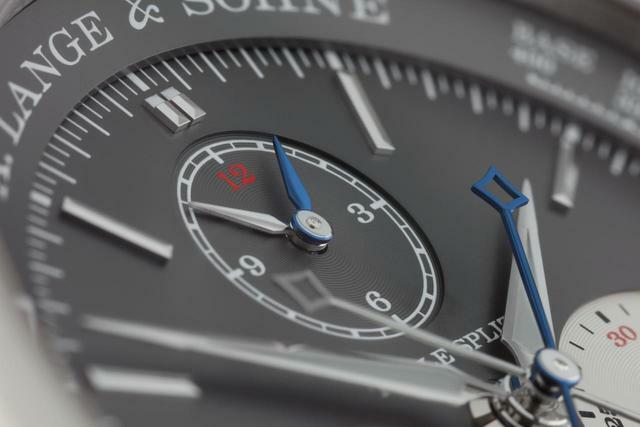 Additional rattrapante hands on the minute and hour counters make it possible to stop lap and reference times of events that last as long as twelve hours. You may recall the firm’s 2004 Double Split. 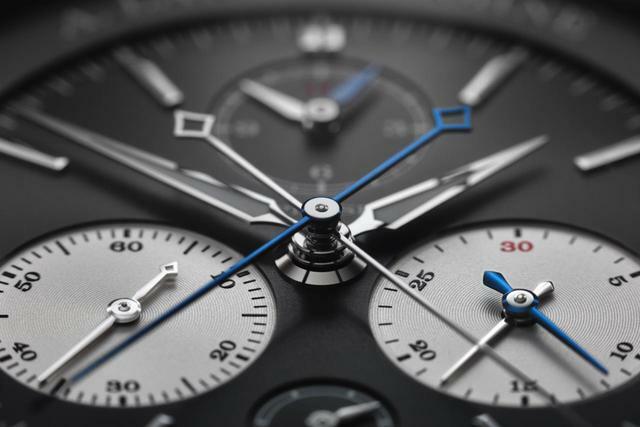 That much-heralded timepiece allowed the first comparative measurements with a total duration of 30 minutes. 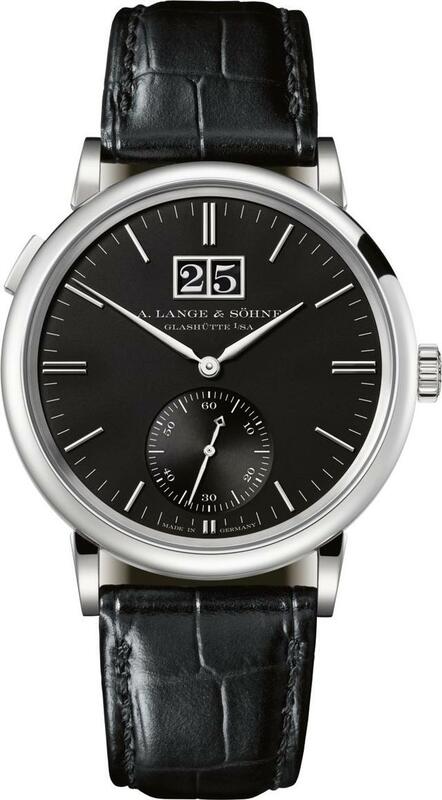 This new watch, with its jumping rattrapante minute counter and a continuous rattrapante hour counter, effectively multiplies the measuring range of the rattrapante function by a factor of 24, says A. Lange & Söhne. 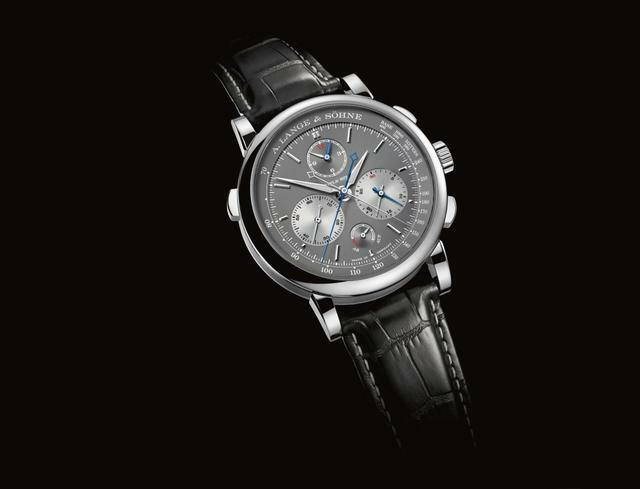 Thus the new watch can be used to time a wider range of events. For example, the Triple Split can compare the times of two opponents in a Formula 1 race, a Tour de France leg or a marathon. It is also possible to add the times of multi-hour events, and any number of lap times can be stopped during an additive time measurement. 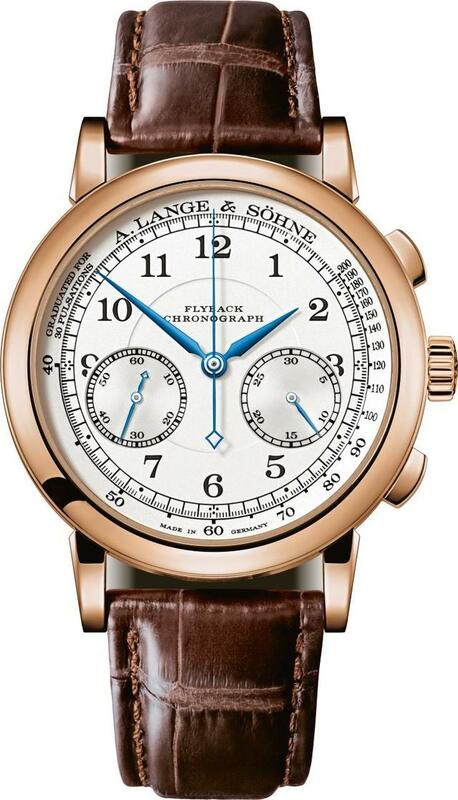 This ability moves the discussion of mechanical multiple-event timing to the next level, where for now A. Lange & Söhne sits alone as the masters split-time chronograph technology. 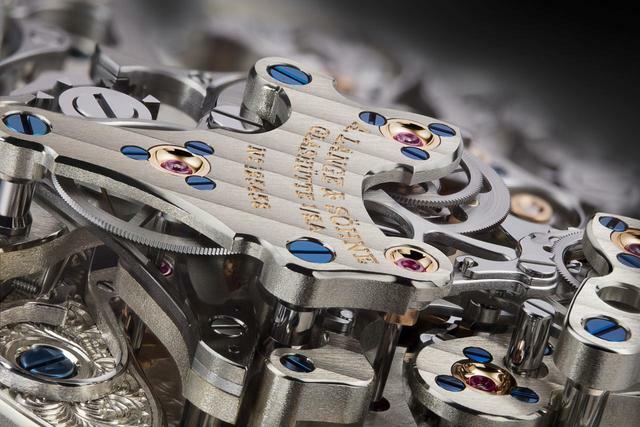 The broader range of functions has been achieved with new manufacture calibre L132.1, which requires a case no larger than was used for the Double Split. 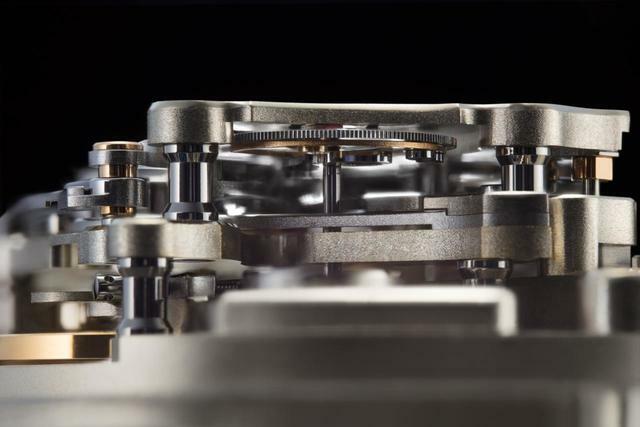 The case measures the same 43.2mm in diameter, here in white gold. 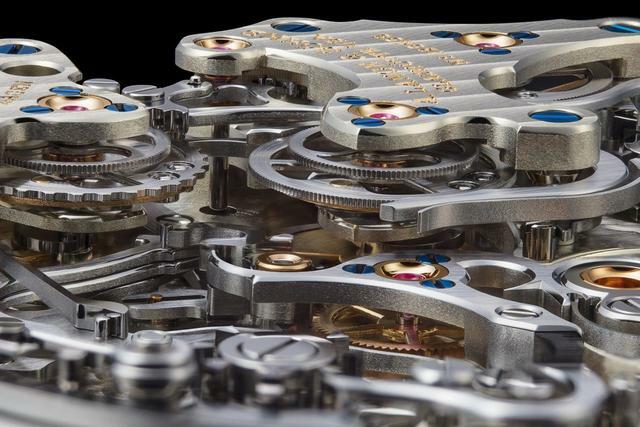 Price: ($147,000) We’ll have more details about this breathtaking watch in the weeks following SIHH. 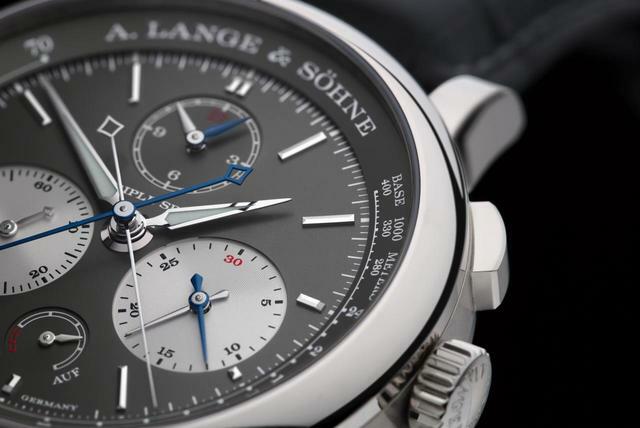 A. Lange & Söhne expands its thin, dressy Saxonia collection with three new models. 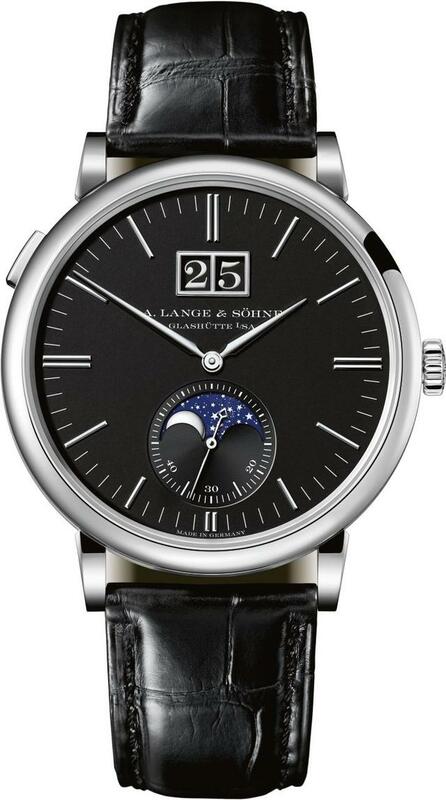 Look for an easier-to-read black dial on the new Saxonia Outsize Date ($25,900), while the Saxonia Moon Phase ($29,000) extends the general appeal of this everyday collection with high-precision moon phase indicator. 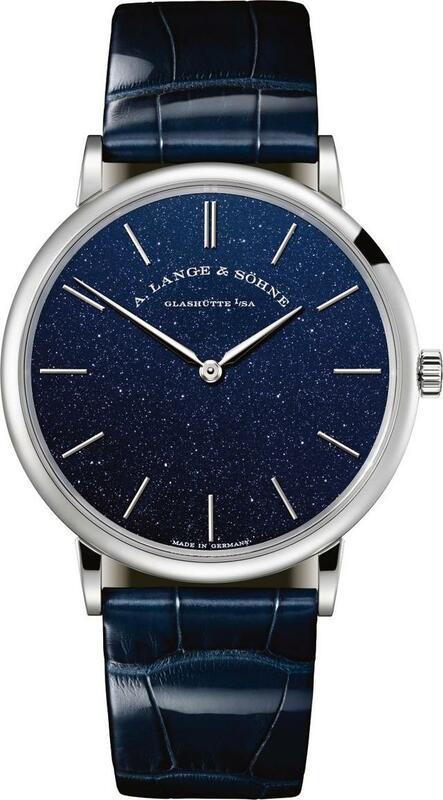 A new dial made of solid silver and coated with a layer of blue goldstone makes the new 39mm Saxonia Thin ($22,000) unusually galactic. 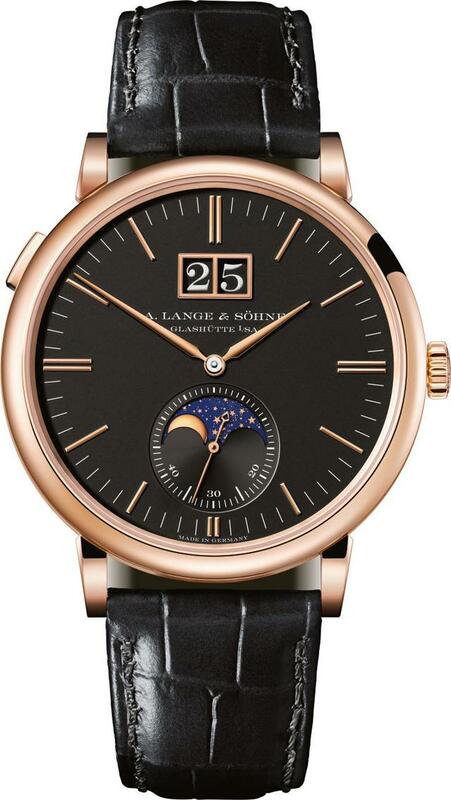 The dial appears as a snapshot of a cloudless midnight sky, with tiny copper oxide crystals glimmering as the stars. Beautiful. 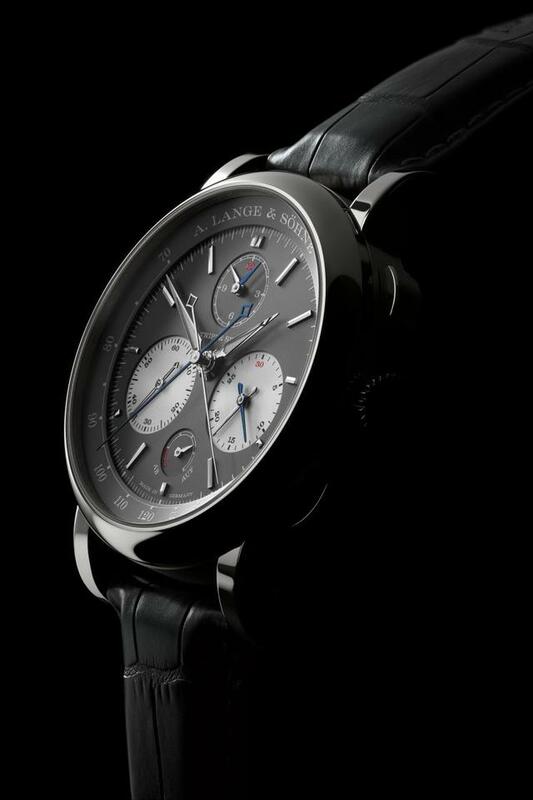 Colors are the focus of three new Little Lange 1 models. 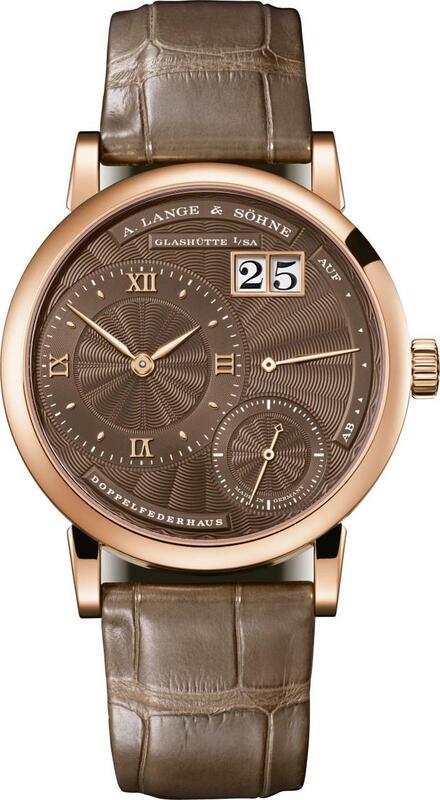 Choose between two white-gold versions with purple or grey dials and a pink-gold version with a brown dial. 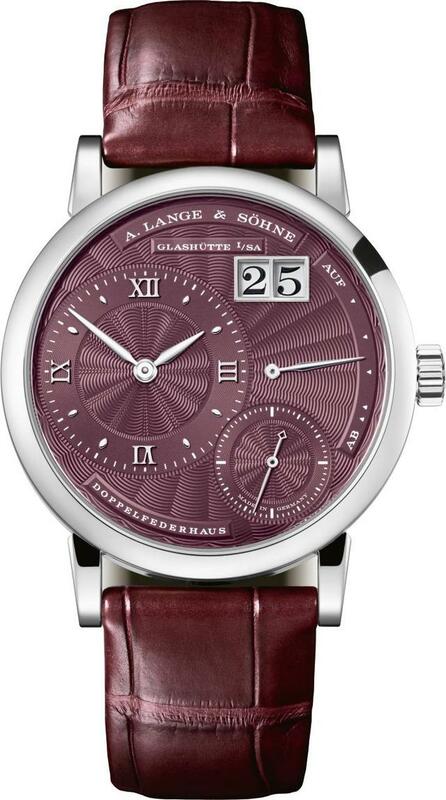 The purple dial model will be made as a limited edition of 100 available only at the firm’s own boutiques. These are all manual-wind models measuring 36.8mm in diameter, hence the ‘Little’ modifier. 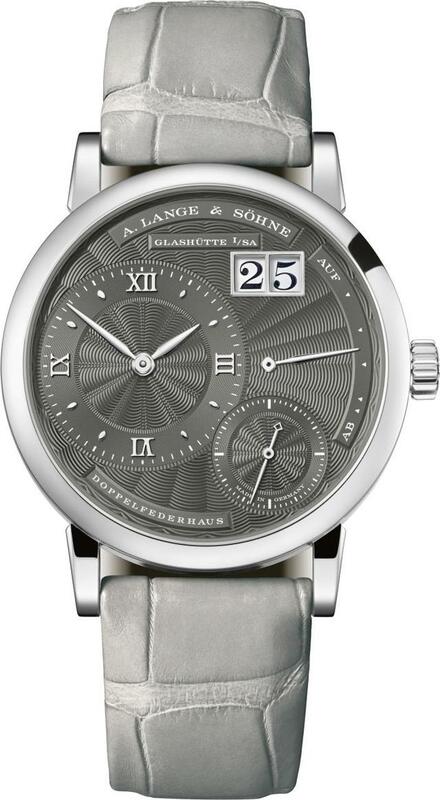 Technically and artistically the collection offers just as much to collectors as the larger Lange 1. 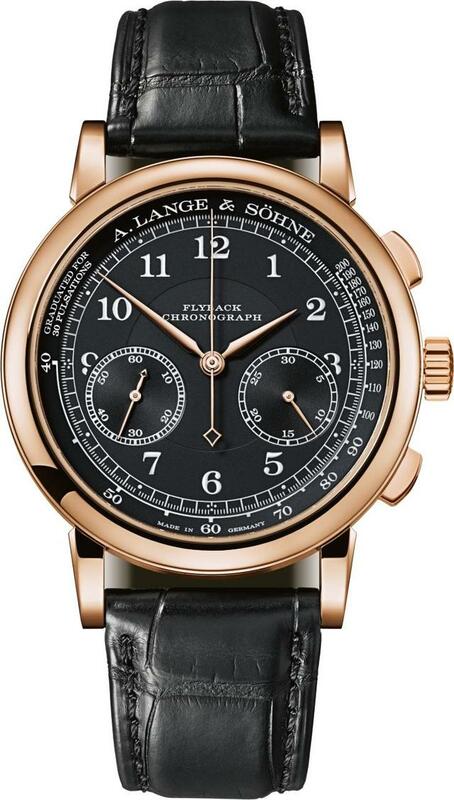 Price: $34,400.